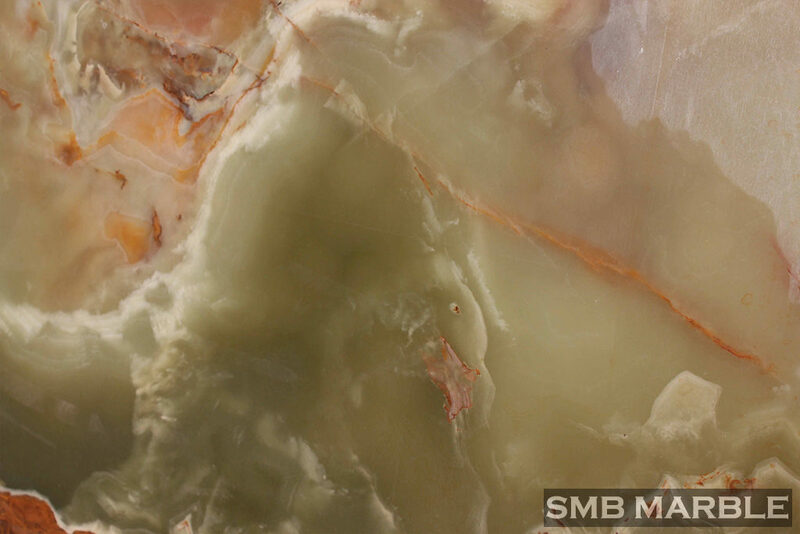 SMB Marble produces high-quality Butak Onyx tiles. The working of the Butak Green Onyx tiles requires a special attention during the selection phase, that is the quality check of the materials. The tiles obtained from the best blocks, are finally checked and selected one by one, so as to be able to assure the final Customers a high quality and excellent selection. Extracted from its origins in the vicinity of the village of Butak, this transparent material follows a soft pattern which outshines the simplicity of this piece. The light celestial pattern adds a hint of sophistication to the material.